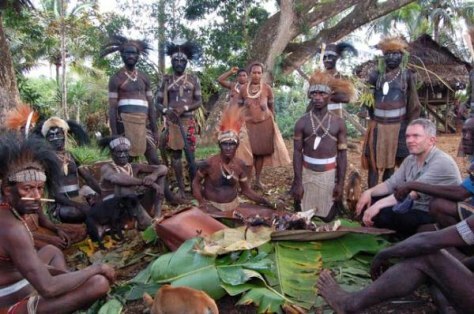 Host Piers Gibbon joins a feast at Negadai village. The pig is cooked in a mumu oven, which is dug into the earth. Humans were cooked the same way when cannibalism was still practiced.